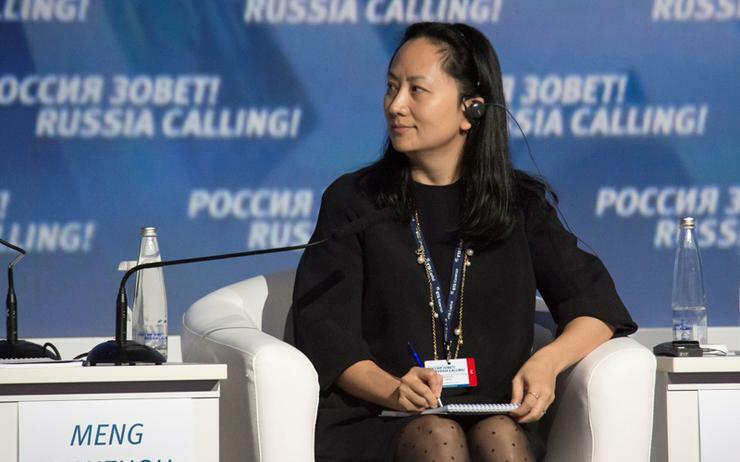 Huawei Technologies’ chief financial officer faces U.S. accusations that she covered up her company's links to a firm that tried to sell equipment to Iran despite sanctions. That’s according to a Canadian prosecutor, who argued against giving her bail while she awaits extradition. The case against Meng Wanzhou, who is also the daughter of the founder of Huawei, stems from a 2013 Reuters report about the company's close ties to Hong Kong-based Skycom Tech, which attempted to sell U.S. equipment to Iran despite U.S. and European Union bans, the prosecutor told a Vancouver court. U.S. prosecutors argue that Meng was not truthful to banks who asked her about links between the two firms, the court heard on Friday. No decision was reached after nearly six hours of arguments and counter-arguments, and the hearing was adjourned until Monday 10:00 a.m. Pacific Time. Meng, 46, was arrested in Canada on 1 December at the request of the United States. The hearing did not name any banks, but sources told Reuters this week that the probe centred on whether Huawei had used HSBC to conduct illegal transactions. HSBC is not under investigation. U.S. intelligence agencies have also alleged that Huawei is linked to China's government and its equipment could contain "backdoors" for use by government spies. No evidence has been produced publicly and the firm has repeatedly denied the claims. The probe of Huawei is similar to one that threatened the survival of China's ZTE, which pleaded guilty in 2017 to violating U.S. laws that restrict the sale of American-made technology to Iran. ZTE paid a US$892 million penalty.